Derby County have confirmed that a ‘spy’ working for Leeds United has been apprehended while observing a training session ahead of the Championship tie between the two sides. In a statement issued via their club website, Derby said that the police were called after “an individual using binoculars” was rumbled in close proximity to their training ground. Derby County can confirm that officers from the Derbyshire Constabulary were called to the Training Centre at around 11:20am on Thursday 10th January 2019 following reports of a man acting suspiciously outside the premises. It has since been confirmed to Derby County that the individual concerned is an employee of the footballing staff at Leeds United Football Club. The club is now in discussion with Leeds United club officials in relation to this incident. At this time no further comment will be made. 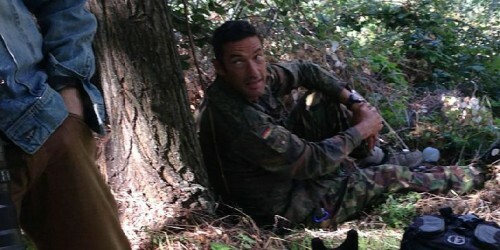 Which all brings back splendid memories of the time Sampdoria caught Genoa’s youth goalkeeping coach snooping while dressed in full camouflage and hidden among shrubbery ahead of the Derby della Lanterna in 2013. Samp subsequently issued a statement describing De Pra as being dressed up “like a new Rambo”. No prisoners were taken and there was no unnecessary bloodshed. Once tracked down, he (De Pra) was caught with his hands in the jam. The soldier from the other side was left free to return to their base. You should always forgive your enemies: nothing annoys them more. Derby County might do well to remember that. this is exactly the type of story i was hoping to see on Pies today, i love it!